Plans to create this barrier-free facility began in 2009 when a group of residents formed a booster club to assist the City in seeking a grant to fund development. In 2012, the Michigan Natural Resources Trust Fund awarded a $300,000 grant for the first phase of improvements. The 14-acre park formerly had a basketball and tennis court, small playscape for toddler and rink for inline skating. 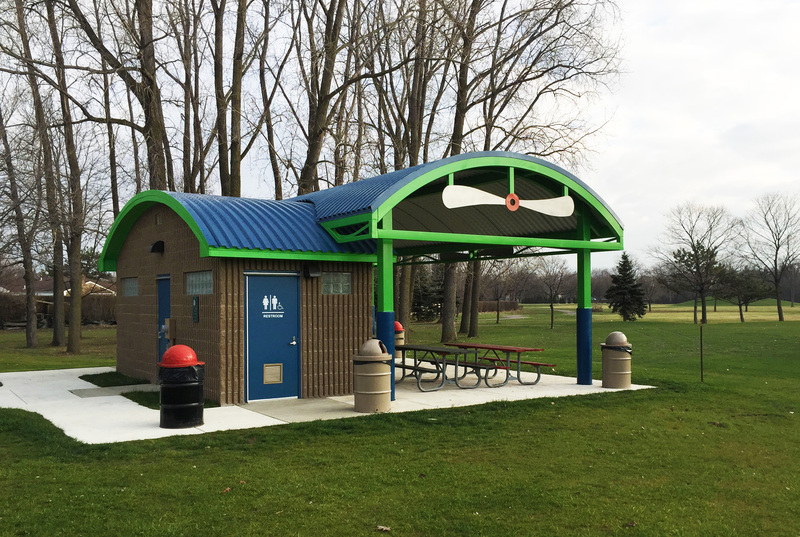 The substantial makeover for the first phase included a new paved path, a covered pavilion, accessible restrooms, and a parking lot with a bus-turnaround making this facility more accessible for the more than 25,000 Macomb County children with special needs and physical challenges. With the community assisting the City in raising funds, it is expected that phase 2 will begin later in 2016. The centerpiece of this phase will be a 30,000 square foot barrier-free playscape area. Once completed, the park will be the first of its kind in Macomb County.